Sake Bar Minneapolis: Plan Your Summer Pub Crawl! It might only be May, but you’re likely already planning your summer fun with friends and family. 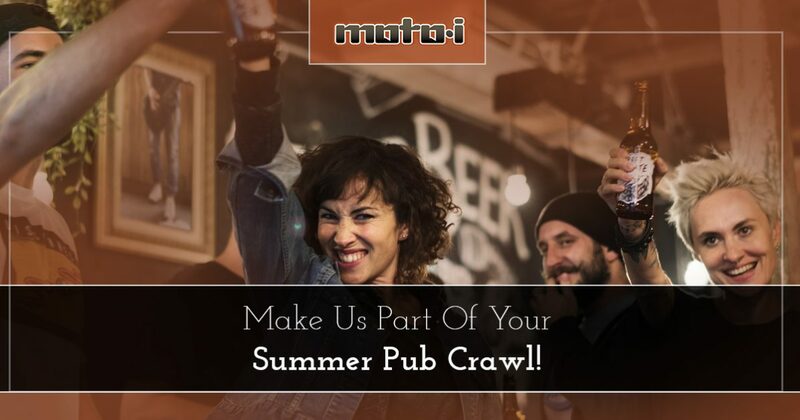 If you have a group of friends that gets together every summer for a pub crawl, then why not add Moto-i to the list? At our sake bar in Minneapolis, you can enjoy beer, wine, and sake that’s brewed on site! We have an outstanding selection of sake, and the traditional Japanese drink can be a good break from the beer and wine that you’ve had at other pubs and bars throughout the city. Depending on when you’re here, your group can take a tour of our sake brewery, and our brewmaster will explain how we make the different varieties of sake that we serve in the bar. You can taste a few different ones, or go with your favorite! A pub crawl can be a great way to visit your favorite spots in the Twin Cities, but it’s important to be responsible when you’re arranging your transportation for the night. It can be a good idea to pick a designated driver for the evening, or to take a cab or a ride-sharing service like Uber or Lyft to each destination. There are also several party bus options in Minneapolis that can take you from place to place. You want everyone to have fun, and letting someone else handle the traffic will let you focus on enjoying the evening! When you get to our bar and restaurant, you might be feeling up to trying something new, such as a sake cocktail. We have a great selection to choose from, including a Moto Mule that includes Junmai sake (which means “pure rice,” or no alcohol added), green tea simple syrup, ginger beer, and a squeeze of lime. It can be a perfect drink for a hot summer night, and it will hopefully leave you feeling refreshed and ready for the rest of your pub crawl. There are many bars that are open late on the weekends, but at Moto-i, we’re open until 2:00 a.m. seven days a week. No matter what night your pub crawl is on, you can come to our restaurant and receive exceptional service and an amazing sake selection. If you’re feeling like beer or wine is more your taste, we have local taps from Minnesota, and a wine list from across the globe. Summer is a time for enjoying time with friends, and spending a night on the town can be a great way to catch up and get to know people better. 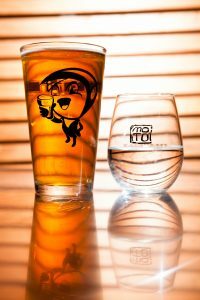 If you’re planning a pub crawl in the next few months, add Moto-i to the list and stop by for delicious sake and amazing Japanese cuisine. We’re always thrilled to meet new people and help them find a sake that they like, and we’ll gladly recommend a cocktail or a dish that you’ve never tried before.